Fill out application and budget worksheet – Complete all sections of the application. Attach extra sheets, if necessary. We understand this is your projected budget, and may change during the course of event planning. Just give us your best estimate. Call the CVB or set up a meeting if you have any questions – Contact us with any questions you may have about the application, marketing ideas, and the support available to you for free. Submit application – Submit at least 60 days before the start of your event. You will be notified within 15 days if your program has been approved.  Submit your event to the Visit Findlay Calendar – Go to VisitFindlay.com/Events to fill out the form. Submit reimbursement request – Submit no more than 60 days after the conclusion of the event or program. Must include your actual financial outcome, copies of receipts, and proof of logo usage on marketing and promotional materials. What specific markets are you targeting outside of Hancock County? What marketing activities are you doing to promote your event and increase new tourism? In what ways can the CVB assist in reaching these markets? Can you collaborate with other organizations to advertise in the new market? What made you choose this market and why do you think it will be a beneficial demographic to advertise to? What percentage of advertising do you expect to take place outside of Hancock County? This section is to provide information about what funding has been secured for the event, and projected revenues. Any income expected from ticket, advertising or exhibitor spots, etc. Any income expected from organizations or individuals in the form of sponsorships or donations – not including this CVB request. May include facility costs, contract/professional fees, equipment, etc. Expenses not covered by Co Op Advertising Grant funds. Signage, advertising and media buys, creative development, postage, website, printed materials, $500 of promotional items, registration bags, etc. Expenses that ARE COVERED by Co Op Advertising Grant funds. Only cash expenses are matched, in-kind monetary amounts do not count toward matched Advertising & Marketing Expenses. Eligible expenses are listed in the Guidelines and Fine Print at the end of this application. This grant is for 50% matching funds. To receive the full amount of requested funds from the CVB, the Total Advertising and Marketing Cost above must equal twice the amount requested. Please do not send my information to media partners. Who May Apply: Any organization seeking to produce or promote an existing event or program that has the potential to create a positive image in the Findlay-Hancock County Area. In order to be considered for funding, all activities must be open to the general public or have non-exclusive membership. Preference will be given to non-profit organizations. Priority Areas: Applications meeting at least one of the four priority areas (Overnight Accommodations, Signature Events, Community Image Building and Hospitality Partnership Growth) will be considered. However, greater weight will be given to the applicants meeting multiple areas. Amount Requested and Use: This program is for Marketing and Advertising funds only (See list of eligible expenses below). Activities with a local focus may request up to $1,000 in 50% matching funds, and those with a regional or larger focus may request up to $3,000 in 50% matching funds. Only cash expenses are matched, in-kind monetary amounts do not count toward matched Advertising & Marketing Expenses. Payment is processed after Reimbursement Request, and copies of receipts and promotional materials are submitted. This grant may be combined with the Tourism Development, Tourism Growth or Tournament Builder programs. Application: In order to be considered for funding, applicants must complete and submit the 2019 Co-Op Advertising Program Application, Budget Worksheet, and any supporting materials to the Hancock County Convention & Visitors Bureau 60 days prior to the event. Incomplete or late applications will not be considered for approval. Documentation and payment: A Reimbursement Request form will be provided to the organization along with approval notification, and is available at VisitFindlay.com. Proof of payment, paid invoices, copies of checks and original artwork or photographs of VisitFindlay logo in advertising materials must accompany the Reimbursement Request form in order to receive reimbursement. Email documentation separately if using online form. Special Circumstances: If the program or event is cancelled for any reason, all unused funds must be returned to the CVB. In the event your organization has special requests outside of the realm of the program guidelines, the CVB Grant Committee will review and present a recommendation to the CVB Advisory Board for approval. Applicants will be notified if special procedures are needed. An electronic signature above signifies that this document is complete, and all information within is accurate. Note: Completed application must be submitted no later than 60 days prior to the start of the event. A complete application consists of: Completed original application form, completed Budget Worksheet, and supporting documents or other pertinent information for consideration, if applicable. Questions? Contact the CVB at 419.422.3315 or email info@VisitFindlay.com.